One of the hardest things about growing your business is knowing how and where to invest in further education, resources, and tools. There's nothing worse than spending hundreds (even thousands) of dollars on a conference or workshop and walking away with little to no new information. My biggest priority when I choose to invest in new resources and education is that I walk away with an actionable to-do list and further education to mull on and implement. Design is one of those things that's often difficult to teach, but it is SO IMPORTANT to me that we start knocking down the walls that do make it difficult to teach. I 100% believe that we can simplify how we approach design so that it becomes something we can all do. 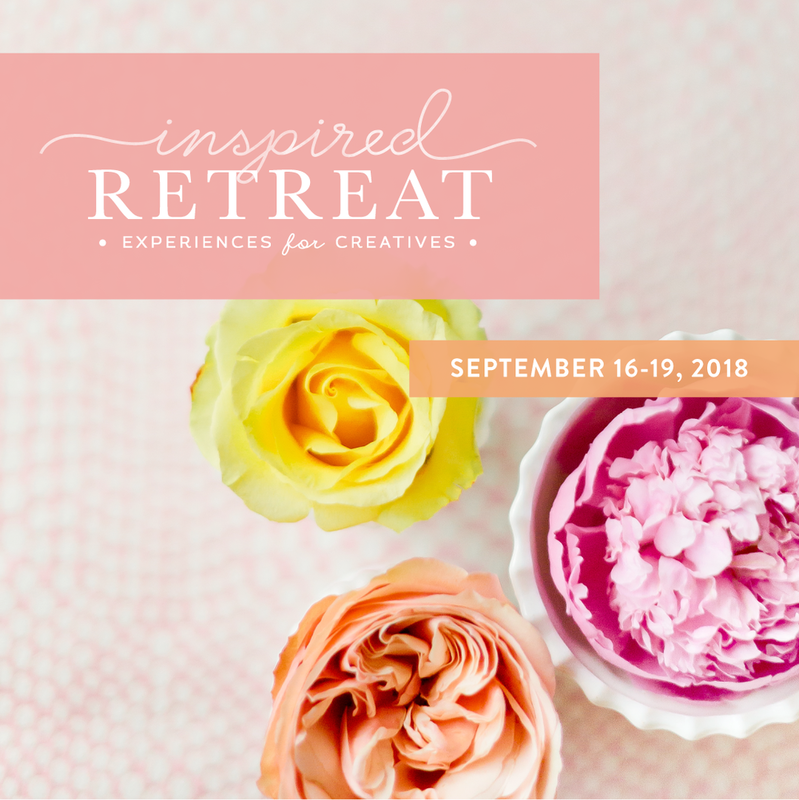 I'm so excited that I'll speaking at The Inspired Retreat this month! I'll be teaching attendees how to juice up their designs so they can get more out of them. My goal is to knock down some misconceptions about what design is so that we can approach it more simply and systematically. Design should never be the thing that holds you business back, so let's learn what the real purpose of design in your business is and some small tools and tricks to refine what you're already doing. A plan to map out future designs.